I want to tell you all about a fun contest from In The Paint. 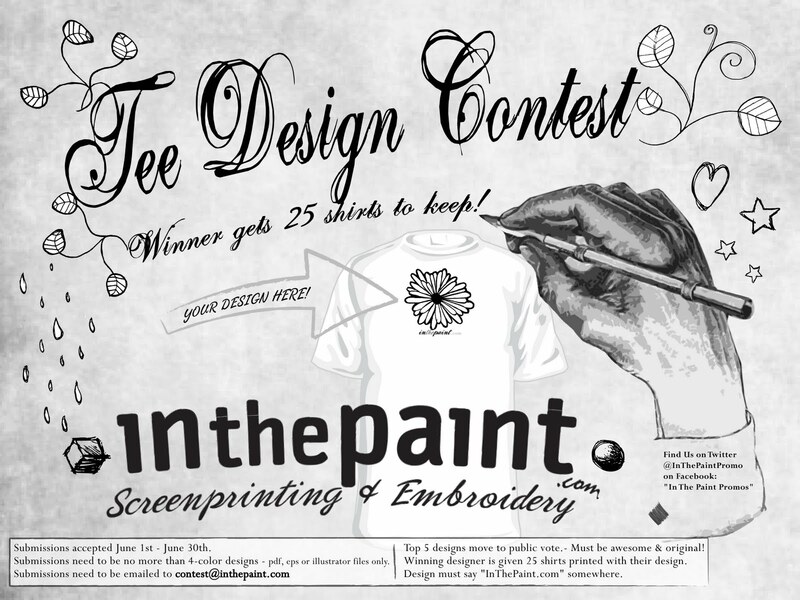 In The Paint is running a design contest right now, submit an original design you would like to see on a t shirt and you could win 25 shirts featuring your own design. The top 5 finalist will be announced on the In The Paint Facebook page where fans will be able to vote for their favorite design. Submissions are limited to a 4 color design and must say "In The Paint.com" somewhere on the design. from their state of the art facility in Utah. Don't miss the weekly giveaways on In the Paint Facebook page.